Visit any office in Scotland, the north of England and Northern Ireland and the chances are that you will see workers sitting comfortably behind office screens and in seating areas that have been designed and manufactured by DS2 Scotland, a Dunblane based company which has been supplying modular solutions to the office sector for over eleven years. 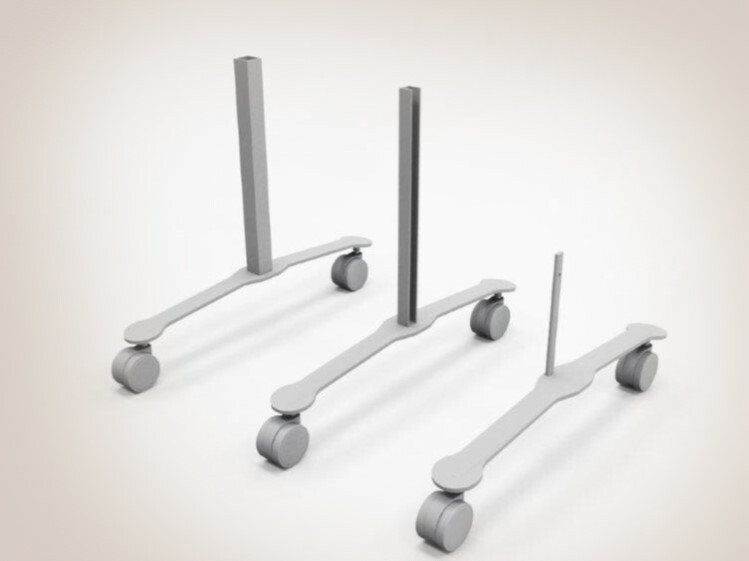 The three new versions of the screen foot required by the company had to combine a fresh modern look with high-end fabrication and finish. EMF mapped out the design concept, which took into account factors such as ease of manufacture and cost, prior to agreeing production and delivery time scales with DS2 Scotland. EMF are pleased to offer a complete range of services from design and prototyping right through to fabrication and delivery to help simplify the supply chain for our customers.